Running a system for mining and transporting corrosive materials in one of the world’s harshest environments calls for the ultimate protection solution. Dampier Salt needed a coating system designed to meet the specific exposure requirements; a formulation tested to ensure long-lasting durability in such extreme conditions. 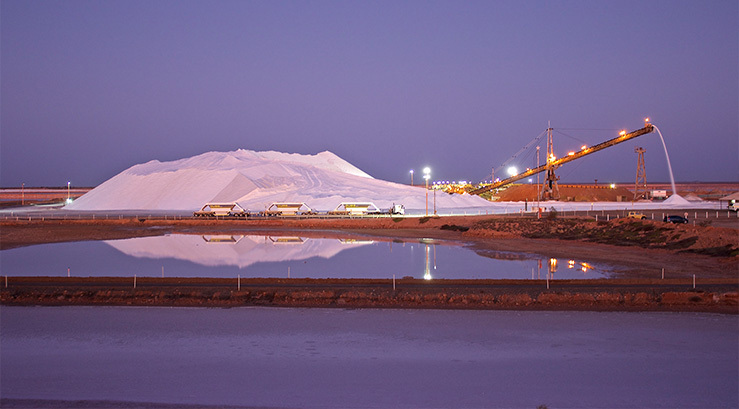 Drawing on the experience of protecting Caterpillar equipment in this salty environment enabled us to assess the coating performance of Camsil PSX MSS, which has been specified and used for the asset protection of equipment used on the company’s salt mine in the Pilbara region. As part of this product assessment program, a number of items were monitored for performance and compared to items that did not have the Camsil PSX MSS protective clear coating applied. In particular, the Caterpillar equipment used directly on the salt mine were closely monitored over a 5-year term and found to provide an additional 2 years’ service to those not coated. A significant product performance benefit. In 2016-17, Dampier Salt purchased new Scania haul trucks for use on the mine site. Operating in these corrosive conditions, it was imperative that this new fleet of trucks got the best product protection available, and extend their operational life. Camsil PSX MS 870 is now commercially available, with improved performance and application characteristics from its predecessor. 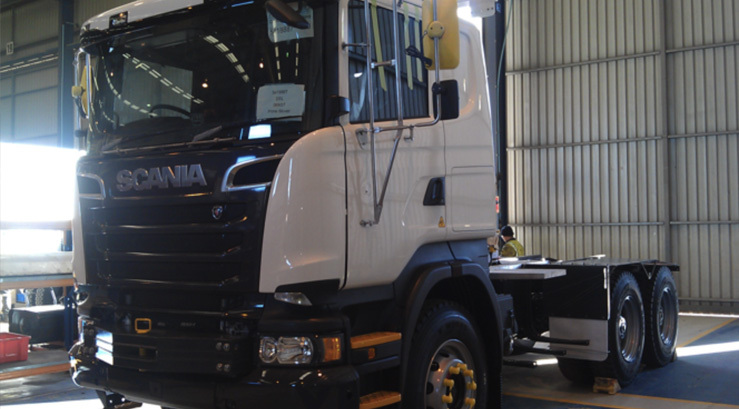 As a result, it was specified for this project, as a coating for the cab and chassis of the 5 Scania units purchased: time will determine the additional performance benefits. Cameleon protective coatings are inspired by technology, designed to meet the latest industry standards and developed with sustainability in mind. 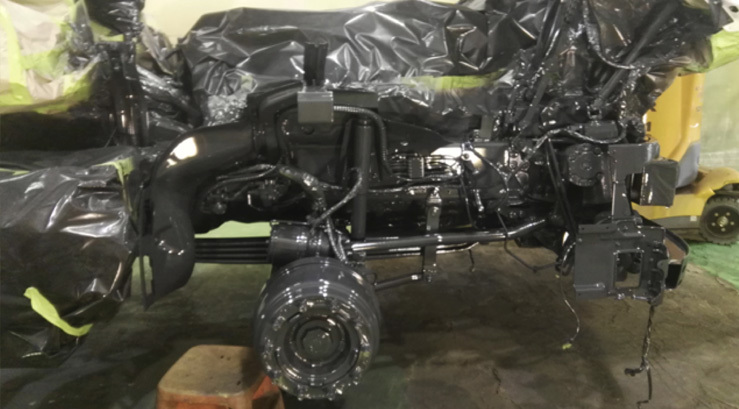 Camsil can be applied directly over existing factory coating systems for the ultimate protection of new assets such as machinery, particularly when operating in harsh environments.